My personal style signifier is my electric-blue Ally Capellino rucksack. I am an eternal optimist and fool myself that I will always find time in the day to read a book, write letters, look at photographs, play cards or sort my paperwork, and consequently I travel everywhere laden with all of these things. Every few weeks I purge my bag only for it to refill swiftly. I was once stopped at customs en route to New York when the scanner picked up an ancient Persian dagger that had found its way from my then six-year-old son’s bedroom into the abyss at the bottom of my bag. They were so shocked, but at least it was blunt. £195; www.allycapellino.co.uk. The last thing I bought and lovedwas an 18th-century Delft plate depicting palm trees, which I bought from The Lacquer Chest. I have long been fascinated by palm trees, and travel everywhere with Martin Gibbons’ book Identifying Palms. I am also drawn to interiors with glazed Delft tiles, so this plate ticked both boxes. 75 Kensington Church Street, London W8 (020‑7937 1306; www.lacquerchest.com). And the thing I’m eyeing next is any one of the numerous treasures to be auctioned at Islamic Art Week this month, a twice-a-year event that all the major auction houses in London mark. If I were super-rich, I would sit with my hand up from start to finish at one of those sales. I have always been captivated by Islamic art: the colours are wonderful and I love the fact that even when something is old and faded, you can still see the strength of the underlying geometry. The last meal that truly impressed me was the sublime crab linguine at 67 Pall Mall, a marvellous club for wine lovers in the former Hambros Bank building designed by Lutyens. I had it with Corton-Charlemagne, Grand Cru. (020-3000 6767; www.67pallmall.co.uk). The sight that inspires me is the sea. I am drawn to water and have spent the last eight summers sailing or staying by the sea in Turkey. The first sighting of the blue waters of the Mediterranean, and the knowledge that within minutes I will be swimming, never fails to thrill me. 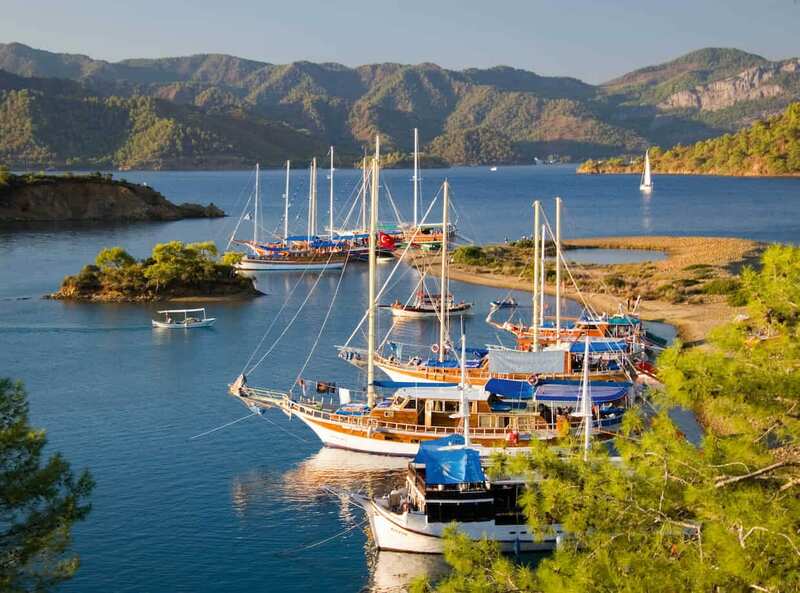 We always pick up the boat from Fethiye, which is an old port city on the southwest Turquoise Coast. The last music I bought was Bach’s Cello Suites, transcribed for the viola and played by Maxim Rysanov. It’s always Bach – or Dolly Parton. The best gift I’ve givenrecently is a 1:48 scale drawing of the Cutty Sark to my husband, who loves boats. I bought it from Oliver Topham Antiques. Also the rather more selfish present of an 18th-century Irish backgammon table, which I found in Blighty Antiques near Cheltenham. We now play endless games. Blighty Antiques, Twigworth Court, Tewkesbury Road, Twigworth, Gloucestershire GL2 9PG (01242-691 542; www.blightyantiques.com). Oliver Topham Antiques, 281 Sandycombe Road, Richmond, Surrey TW9 3LU (07951-028 583). And the best one I’ve received recently is my blue whippet, Panther. I am besotted. He was bred by my sister, who gave him to me for my birthday last year. I relish my daily walks in Kensington Gardens on the way to the shop, where he sits with me every day. A recent “find” is Mungo & Maud, a very chic dog and cat outfitters, which I am addicted to now that I own a dog. It has particularly beautiful and well-made dog beds and all kinds of stylish accessories. 79 Elizabeth Street, London SW1 (020-7467 0823; www.mungoandmaud.com). My favourite room in my house is the den, where we watch TV and play games. It is extremely cosy, especially when the fire is burning. It has pink walls and it houses my favourite pictures, textiles and objects from the Middle East – as well as a narwhal tusk. My favourite websites are Abebooks.co.uk for old books, and Gramophone.co.uk for the best reviews of classical music.